When talking about identifying players with potential, Sir Alex Ferguson once commented that he 'observed young players to see how they reacted when faced with adversity'. He listed this particular quality as the second attribute he looked for in young players. The first, being footballing ability.....which is a fairly obvious starting point. The other two listed were related to the brain and the body, they were speed of thought and speed of movements. This covers the technical, tactical, physiological and psychological aspects of identifying young players with potential. Many clubs within the United Kingdom still view the technical and physical aspects as the most important criteria to identify players with potential. They see the immediate performance of a player and incorrectly believe this to signify a potential determinant of future ability and performance. It is very easy to notice players who stand out in a game. Often the reasons for their early success are physical and psychological maturity. These allow them to develop skills and techniques quicker than others whilst their bodies are better coordinated and more advanced physiologically. They are also able to process information quicker and more efficiently due earlier psychological maturity. Ferguson looked beyond these initial obvious characteristics of young players and observed to see how they coped when things were not going their own way. 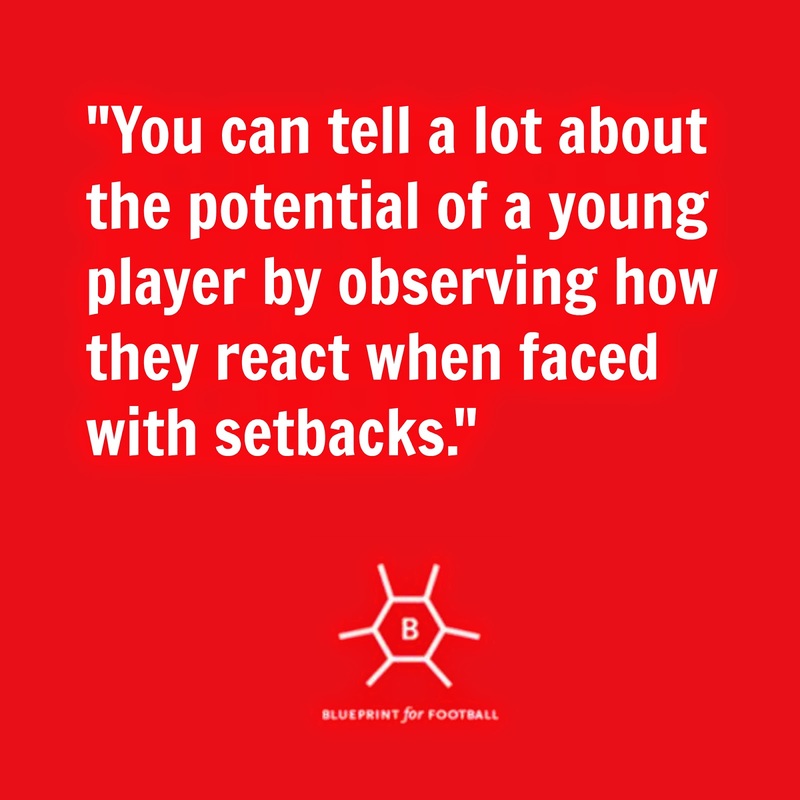 You can tell a lot about the potential of a young player by observing how they react when faced with setbacks in games, training and in life in general. It is important to observe players reaction to losing the ball, to miss-placing a pass and generally when they perform poorly. This provides a very clear indication of the determination and mental toughness they possess. Naturally, analyzing a young player based on these criteria is far more complex than simply viewing players and judging them on their footballing ability. Their movements and mannerisms must be studied meticulously to gauge how they cope with adversity. This requires the observer to study the player when they are out of possession. Given that during the majority of a football match players are required to move without the ball, this should be a key criterion. Unfortunately, off the ball movement and mannerisms are rarely analyzed when uncovering potential stars of the future. Jose Mourinho is often said to be very focused on the transitions in matches. They are considered by many to be a key and determining factor in the outcome of games. Observing young players in key moments in games is another important indicator of future potential. There are four key moments or situations which arise in games; when your team has possession, when your opponents have possession, when you switch from attacking to defending and when you switch from defending to attacking. In these key moments it is important to view player’s movement in relation to the ball and their teammates. Their level of intelligence and game awareness can be gauged in these instances. One can also gain an understanding of their willingness to help out their teammates by fillings gaps which arise and which can potentially be exploited by the opposition. Observing traits such as these takes account of the psychological element of uncovering potential. Again, this area is often overlooked when clubs attempt to uncover potential players of the future. As previously stated, clubs within the United Kingdom often focus predominantly on the technical and physical aspects of the performance matrix. 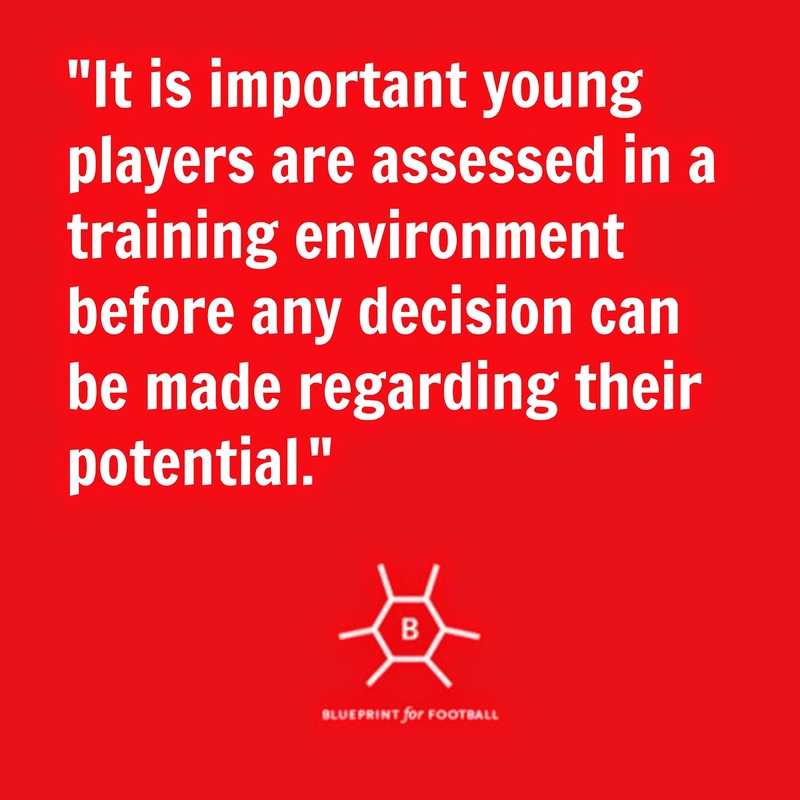 It is important young players are viewed and assessed in a training environment before any decision can be made regarding players’ potential. This allows coaches to view the mentality of the young player and how they deal with the learning process. If a player is focused on learning and developing their skills and abilities then they will have a far greater chance of progressing as a player. You can observe the focus and determination exhibited by a player when they are undertaking specific practices in training. Their body language and mannerisms reveal a lot about whether they possess a growth mindset. It is crucial that they focus on the small details and are constantly self-analyzing and correcting their execution of skills and techniques. They need to view mistakes as an opportunity learn and grow as a player and a person. Many young players view failure or making mistakes as a weakness and something to be feared. This is a worrying belief and should be discouraged at every opportunity. Making mistakes is the only way young players will grow and develop. Therefore, when identifying players with potential it is crucial the observer's view the player’s reaction to mistakes. Players with a growth focused mindset are far more likely to develop and improve as they progress as a young footballer. It is crucial they embrace challenges and show the courage to continue to develop their game. Uncovering potential is a complex and demanding process. It requires the observer to focus on the player’s capacity to progress and develop as a young footballer. Simply viewing the players who make the biggest impact on games at a young age only tells part of the story and it is often the wrong part. Players who make the biggest impact at the younger ages tend to be the most psychologically and physiologically advanced children. These traits take the observers attention away from the crucial characteristics required to progress and develop as a footballer. These being the player’s capacity to learn and their determination to succeed. Both qualities stem from the brain and the brains ability to process information and to deal with challenges. If we are to uncover young players with future potential it is crucial we look beyond the obvious and focus on the hidden traits underneath the surface. We need to develop a framework in which children can be viewed taking account of all aspects of the performance matrix with particular focus on the psychological characteristics. The challenge for those involved in football is to appraise young players holistically with a view to future potential and not to simply select players based on their initial performance. Stephen Fraser is an academy coach and football analyst who was interviewed by Blueprint for Football here and who can be found on Twitter here.